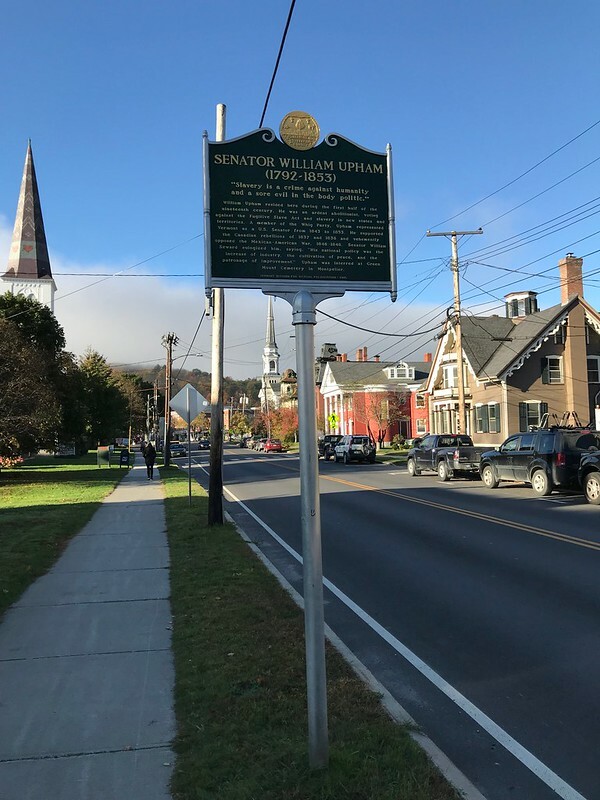 We walked by this historical marker on our way to the Vermont State Capitol Building during day three of our F@ll 2017 New England trip. This marker is located at 145 Main Street, Montpelier, Vermont. The GPS coordinates for this location are 44° 15' 44.8" N 72° 34' 20.8" W.
Slavery is a crime against humanity and a sore evil in the body politic. 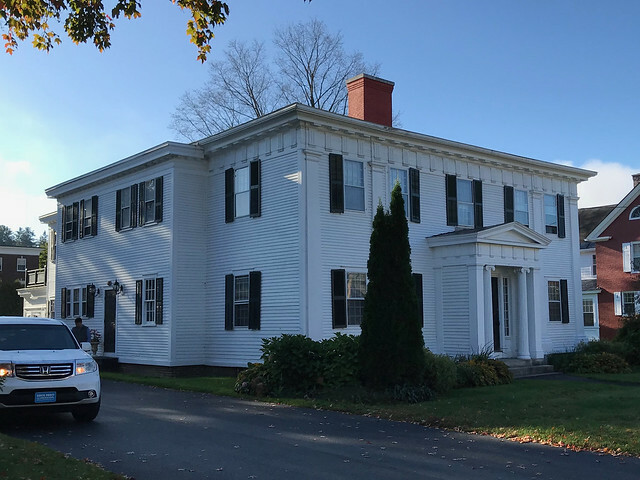 William Upham resided here during the first half of the nineteenth century. He was an ardent abolitionist, voting against the Fugitive Slave Act and slavery in new states and territories. A member of the Whig Party, Upham represented Vermont as a U.S. Senator from 1843 to 1853. He supported the Canadian rebellions of 1837 and 1838 and vehemently opposed the Mexican-American War, 1846-1848. Senator William Seward eulogized him, saying, His national policy was the increase of industry, the cultivation of peace, and the patronage of improvement. 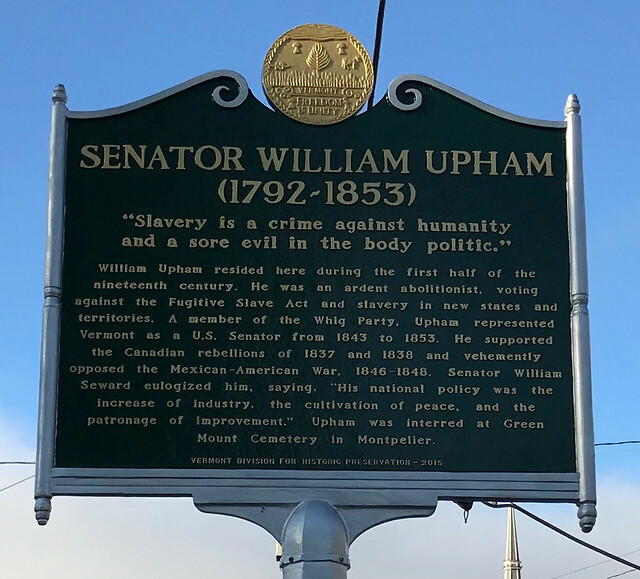 Upham was interred at Green Mount Cemetery in Montpelier.